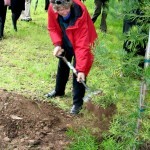 On 1 September the South African Astronomical Observatory (SAAO) hosted a tree-planting event. 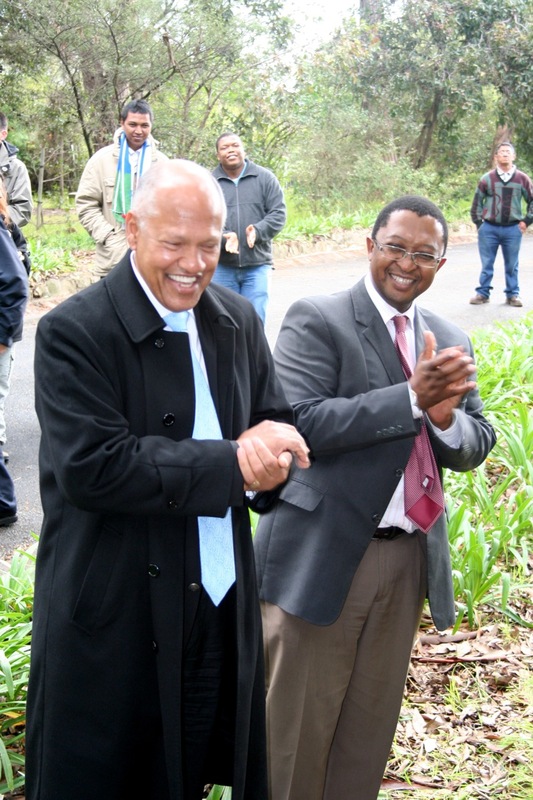 In a ceremony marking the start of Arbour Week, nine Outeniqua Yellowwoods (Podcarpus falcatus) were planted by representatives of the local community and senior South African astronomers from around the country. Phil Charles, the Director of SAAO, welcomed Molapo Qhobela, Deputy Director General of the Department of Science and Techonolgy, Wilmot James, MP, and Liz McDaid, Chair of the Two Rivers Urban Park of which SAAO forms a part. Despite the rain during most of the day, the group were fortunate in having a patch of dry weather for their activity. The event began with short speeches from Charles, James, Qhobela and McDaid in which they all emphasised the role that SAAO plays in bringing together the Observatory staff, local academics and students as a result of its proximity to UCT. 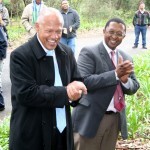 They also stressed the strong mutual support between the Observatory and the Two Rivers Urban Park. 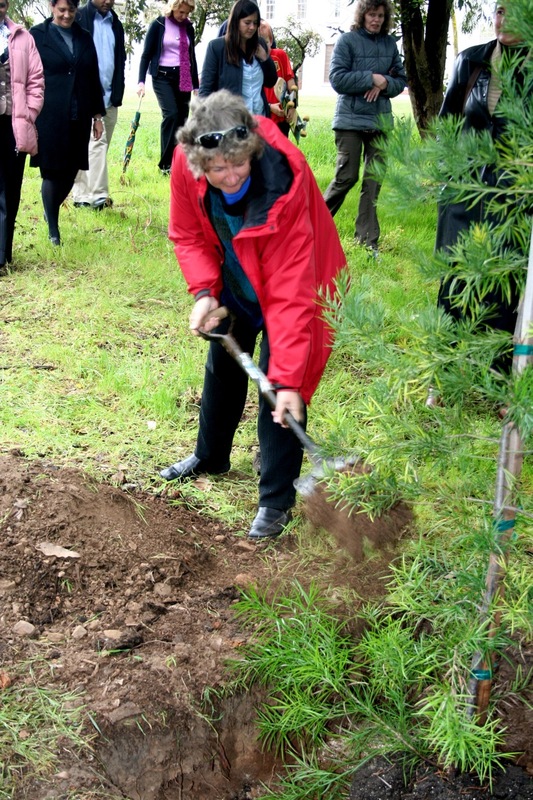 Charles announced that SAAO staff and students had been given the opportunity to sponsor trees. Due to the overwhelming support for this initiative, 60 trees will be planted during September, as fast as holes can be dug for them.